International Space Apps Challenge is an international mass collaboration focused on space exploration that embraces collaborative problem solving with a goal of producing relevant open-source solutions to address global needs applicable to both life on Earth and life in Space. Bulgaria will take part for the sixth year in NASA Intentional Space Apps Challenge. This is an event for mass collaboration, which is organised for the sixth year globally in the cities on all seven continents in the world. This hackathon is part of a larger process of defining challenges relevant to earth and space, intensively working to prototype solutions, and subsequently refining and implementing the most promising prototypes. International Space Apps Challenge is a model for innovation. The ability to contribute towards solving meaningful challenges is the most important motivator for most participants in mass collaboration. Adept - Sofia is ranked by NASA as one of the top five in Best Use оf Hardware. SpacePort Futuristic Development - Plovdiv is ranked by NASA as one of the top five in Best Mission Concept. Airify - Sofia is ranked by NASA as one of the top twenty five in People`s Choice. Valkyrie - Sofia is ranked by NASA as a global winner in Best Use оf Hardware. Rain-of-Fire - Sofia is ranked by NASA as one of the top five in Best Mission Concept. Robo-Fabric - Burgas is ranked by NASA as one of the top fifteen in People`s Choice, and on the final round is the second in the globe. LeafZobe - Sofia is ranked by NASA as one of the top five in Best Use of Data. ChickBook - Sofia is global winner in People`s Choice. GhOST - Sofia is ranked by NASA as one of the top five in Best Mission Concept. Everyone can participate. Hackathons are technology development marathons that draw on the talents and initiative of bright minded volunteers – programmers, developers, engineers, technologists, designers, and anyone with a passion and desire to have an immediate impact on the world. They are open to anyone who has a passion for making a difference and are focused on developing real solutions to global challenges. Solutions can span the spectrum from concept ideation, to prototypes and working demos, to advanced applications ready for use. Each team will choose a challenge and will decide what solution/s to develop. The event Space Apps Challenge 2017 - Bulgaria is organised through collaboration and partnership among science community, universities representatives, business organisations, NGOs and students volunteers. The host organisation TU-Sofia is the largest technical university in Bulgaria offering highly qualified trainers, engineers and technical staff, with modern laboratory facilities. More than 65 years TU-Sofia educates specialists in the field of engineering. For this period, over 100 000 engineers have graduated - bachelor degree in 26 specialties, master degree in 35 specialties, PhD degree in 110 specialties.The TU-Sofia has close working relationships with more than 50 universities in Europe, Asia, North America and Africa. The University is a member of prestigious European and world organisations and participates in various projects under EU, UNESCO and NATO programmes. TU-Sofia is among the leading technical universities in Europe. Burgas Free University /BFU/ was established with an Act of The Great National Assembly on 18 September 1991, and is one of the first non-state universities in the country. The University is accredited by the National Evaluation and Accreditation Agency and is certified under the International Quality Standard ISO 9001:2008. BFU is a modern and innovative university, caring for its students and their professional realization, and which has significant academic achievements and an internationally recognized status. BFU is a member of the European Universities Association /EUA/. It has signed Agreements of Cooperation with 36 universities and organizations in Europe, America, Asia and Africa. 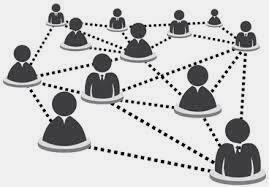 It works under joint international projects with more than 100 universities and organizations. BFU is a partner of UNESCO under the UNITWIN/UNESCO Chairs Prpgramme, and is a host institution of UNESCO Chair on Culture of Peace and Human Rights. TU-Sofia, branch Plovdiv is an outpost of the TU-Sofia and is the largest technical university unit in southern Bulgaria. Most of the subjects from Sofia’s curricula are covered also in Plovdiv. The branch offers highly qualified trainers, engineers and technical staff, with modern laboratory facilities. More than 30 years TU-Sofia, branch Plovdiv educates specialists in the field of engineering. For this period, over 8000 engineers have graduated – bachelor, master and Ph.D. degree in nearly 20 specialties. Many students from TU-Sofia, branch Plovdiv achieved national and international awards in various students’ competitions. University of Ruse is an educational and research centre, training specialists in a wide range of engineering, economic, managerial and humanitarian degree programmes and conducting fundamental and applied research. The curricula and syllabi developed in cooperation with foreign universities and business partners provide the graduates with broad career prospects in Bulgaria and abroad. Today, over 9 000 students, 150 PhD students and 1400 post-doctoral students are studying at the University of Ruse, whose structure comprises eight faculties (four engineering and four humanitarian) and two Branches in the towns of Razgrad and Silistra. The faculties are: Agrarian and Industrial; Mechanical Engineering ND Technology; Electrical Engineering, Electronics and Automation, Transport, Business and Management, Natural Sciences and Education; Law; Public Health and Healthcare. The University of Ruse has a solid presence in the European educational space and has established a wide network of partnerships in the field of education and research with prestigious universities in Europe, the USA, Japan, Russia and many others. It is a member of respected international organisations such as the European Universities Association, the Danube Rectors' Conference, etc. The numerous projects with European funding, implemented by the University, provide excellent opportunities for mobi9lity and qualification for students and lecturers. In 2012, the University of Ruse was granted its third institutional accreditation by the National Evaluation and Accreditation Agency of 9,28 on a 10-graded scale. This makes it one of the leading higher education institutions in the country. ICN.Bg (Internet Corporated Networks) is the biggest Bulgarian web hosting company, specialized in providing state-of-the-art web hosting solutions for corporate clients as well as individuals. ICN.Bg offers shared hosting, cloud hosting, VPS, dedicated servers, colocation, domain names and much more. All our services are with world class quality and supported by a professional 24/7 technical support team, friendly attitude and competitive prices. Maksoft is a leading web design company in East Europe. We have created and maintain hundreds of websites with the unique Content Managment System. We have an alogrythms for Search Engine Optimization (SEO) and Online Reputation Managment (ORM). Maksoft is a wholesaler and importer of promotional pens, I-Pens, usb flash, lighters, keyholders, bags. Eurocom is a Bulgarian television channel with a national coverage. Eurocom is a private and an independent media that have launched a broadcasting since the 1996. The channel of Eurocom covers more than 6 million viewing audience in Bulgaria. Eurocom offers a thematic selection of various programs - news, talk show, series and sports. Hacker School BG е безплатна школа за талантливи и мотивирани млади хора, обичащи и търсещи предизвикателства, такива, които искат да се развиват и да знаят повече всеки ден. Екипът на Hacker School BG предоставя качествено безплатно обучение на различни нива и направления в областта на програмирането. Ние в Hacker School BG вярваме, че способностите на хората са неограничени и затова сме готови да дадем цялото си знание и енергия, за да могат те да успеят да достигнат мечтите си. Водеща роля в Hacker School BG играят нашите партньори - високо технологични компании, които дават възможност на най-добрите ученици да използват натрупаните знания и умения в реални задачи и проекти. Hacker School BG е проект на TelebidPro. 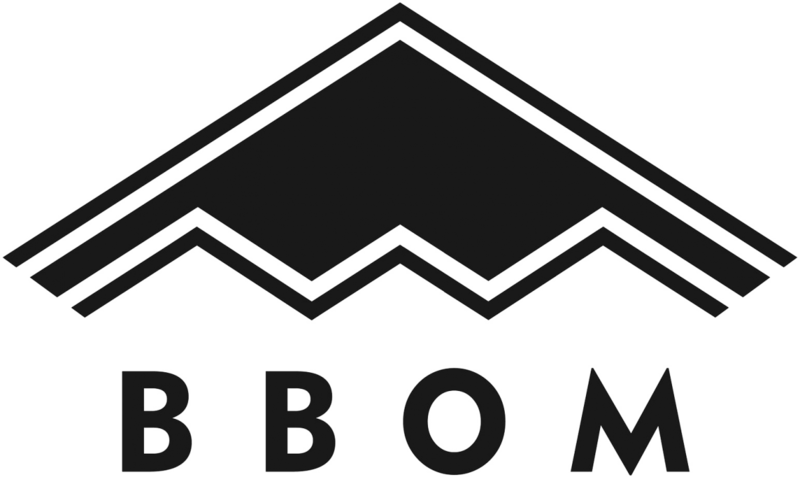 BBOM - With its pleasant form and almost weightless, it snuggles up against your body and promises what only headsets and Miniboxes do: You and your friends are floated with music selected by yourselves – be it at home, picnicking near the riverside, or on the way to those locations. And all in high quality: undiluted, galore and if you want: loud. The concept of the BBOM Music backpack is as simple as it is great: an ergonomic backpack in noble black offers you lots of space for a laptop, a breadbox, documents and others. The main function of the Intelligence Music Backpack is to provide sufficient storage space for music equipment, playback options and charging functions. By means of these tools, music can be played any time and everywhere in public places. With its design as geometric, sharp-edged item, the rucksack follows a futurist keynote. Due to its sturdy construction, the components carried and integrated in it are optimally protected. We believe that by solving some of the biggest problems of our time, we can create a future where there is limitless freedom of movement for people and things all across the world. 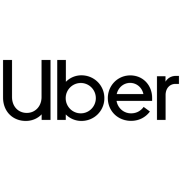 Uber Engineering builds scalable systems to safely and reliably move people and things to the physical places they need to go. Since 2001, MentorMate has met complex business challenges with custom software development. Now, with seven offices and over 450 employees in Minnesota, Sweden and Bulgaria, our strategists, designers, architects, developers, and quality assurance engineers deliver value to our clients. We think big, design smart and develop fast for all screens, projects, and teams accelerating digital ideas with end-to-end technology services. Working confidently across diverse regulatory environments, MentorMate technologists answer business needs with engaging experiences in digital health, finance and beyond. https://mentormate.com . 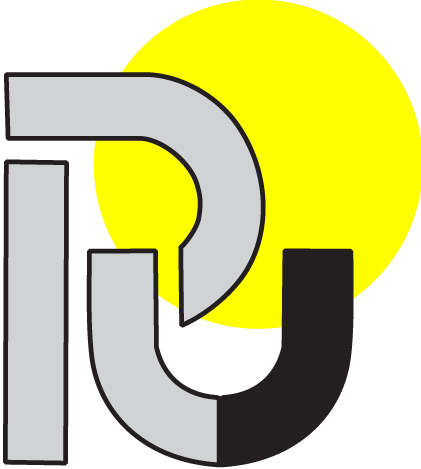 FORMA Design Bureau Ltd, working with the trademarks Forma and Forma Design, is an organization, with a team of designers, marketers, web specialists and consultants in the area of expert ERP systems. We are creating intelligent information systems from several years and from recently we are implementing complex communicational and cybernetic models with artificial intelligence. Our consultants and specialists are in favor of the medium and large businesses in the transfer of knowledge and techniques, the optimization of the work and sales processes, and in the creation of a unified communicational and cybernetic structures and systems that manage the business processes in a company, as well as its message to society. 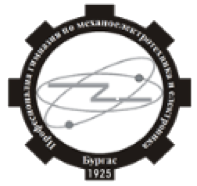 The mission of SRTI-BAS is the conduct of fundamental and applied studies in the field of Space Physics, Remote Sensing of the Earth and Planets, and Aerospace Systems and Technologies. The priorities of SRTI-BAS are: solar-Terrestrial and Space Physics (solar wind, magnetospheric and ionospheric physics, high and middle atmospheric physics, space weather); high-energy astrophysics, galactic cosmic rays; medico-biological studies, space biotechnologies, heliobiology, telemedicine; design, development and transfer of methods, instrumentation and technologies for remote sensing of the Earth, regional and global monitoring of the environment and security; research in the field of obtaining and application of new superhard materials; development of innovative aerospace instrumentation and technologies, as well as their transfer to economy. In the last 7 years the State University of Library Studies and Information Technologies (SULSIT) has become one of the most prestigious higher education institutions in Bulgaria. Alongside the traditional specialties – Library Studies and Bibliography, Library Management, Print Communications and Computer Sciences, the University offers unique specialties such as Information technologies, Information Brokerage, Information Security, Information Collections of the Cultural and Historical Heritage, Information Resources of Tourism, Information Technologies in the Court Administration, Software Engineering. SULSIT has all forms and degrees of education, including the so-called PhD School. The University supports huge scientific research in the different areas where it provides educational services. 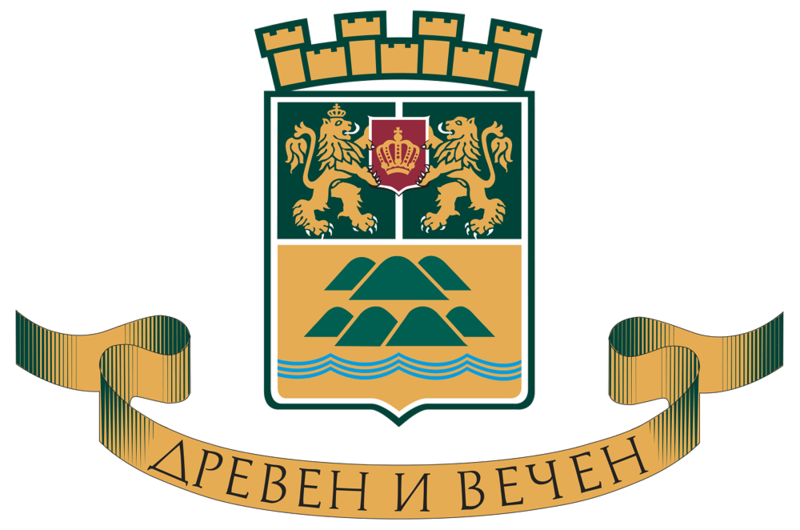 Professional School of Mechanical and Electronics/PGMEE/ in Burgas was established on 29.08.1925 under the initiative of George Dipchev – the son of Rayna Knyaginya. PGMEE is a leading school in Burgas and in Bulgaria. It provides a modern innovative educational and professional training of highly qualified personnel in specialties: Industrial Aesthetics and Design, Motor Technology, Electrical production, Electrical Motor Equipment, Industrial Electronics, Microprocessors, and Computer Networks that corresponds to the environment of market economy. Graduates of PGMEE won top prizes at competitions in Technical Drawing; national competitions in Applied Electronics, "I Can And I Know How", "Best Technician in Mechanical Engineering", "Best Young Mechanic and Driver" and "Aeromodelling." They performed perfectly at the "Space Apps Challenge" NASA competition for Bulgaria in 2013 where they took the second place with a project for a greenhouse for growing fresh vegetables during missions to the moon. PGMEE participates in numerous national and EU operational programs. 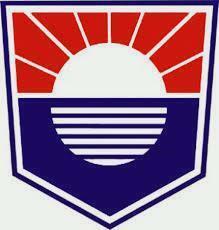 The Higher School of Security and Economics (HSSE) is one of the youngest univer-sities in our country. It was initially established as a College of Economics and Admin-istration (CEA) – Plovdiv, with a Resolution of the 39th National Assembly dated Octo-ber 29th 2003, promulgated in issue 97 of the State Gazette dated September 4th 2003 and transformed with a Resolution of the 43rd National Assembly, promulgated in is-sue 38 of the State Gazette dated May 26th 2015. „Education and demographic issues“ Directorate is part of the specialized administration of the Municipality of Burgas. The Directorate coordinateс the activity of the municipal schools, kindergartens and auxiliary units for organization of the education process and interacts with the Ministry of Education and Science, in accordance with the requirements of the Public Education Act. The Directorate ensures and controls the compulsory preschooling of children and compulsory schooling of students up to the age of 16, the funds for the maintenance, construction, furnishing and overhauling of schools, kindergartens and auxiliary units, the means requisite for the fulfilment of the state educational requirements, as well as for financing all sections of the curriculum in municipal kindergartens, schools and auxiliary units. It also provides conditions for canteen catering, for boarding houses, recreation, sports facilities and transport for children, students and teachers. The experts from „Education and demographic issues“ Directorate develop and create conditions for implementation of municipal, national and international educational programmes and projects. Junior Achievement is the world’s oldest, largest and fastest-growing non profit economic education organization. JA Bulgaria educates and inspires young Bulgarians to value free enterprise, business, and economics to improve the quality of their lives.It prepares them to succeed in a global economy. Established in 1997, Junior Achievement Bulgaria is a member nation of Junior Achievement Worldwide (JAW) and its regional entity Junior Achievement –Young Enterprise Europe (JA-YE). Junior Achievement Bulgaria is the first and foremost organization in Bulgaria offering top-notch programs and courses in business, economics and the development of the entrepreneurial spirit through educational and hands-on activities in economics, financial literacy, business skills, leadership and strategies for success. JA-YE enterprise and economic education programmes are designed for young people ages 6-25 and are implemented through a partnership between local businesses and schools. EDIТ (Economic Development via Innovation and Technology) - Programme in support of the digital business environment in Bulgaria. We analyze global and local trends, discuss the issues faced by start-up companies, and together we seek for solutions in support of innovations and investments. We encourage the collaboration between entrepreneurs, the exchange of experience and ideas, the establishment of a contemporary digital ecosystem. Setelis Labs provides software development services. The company is focused on helping their clients plan, build and expand their software products. Its skilled and highly motivated team have the expertise to handle complex custom software projects using a vast array of technologies and software processes. Besides the most-used programming languages today, the Setelis Labs team is proficient in less popular technologies such as Erlang and WebRTC. NOVA Idea Foundation supports young people in Bulgaria who want to turn their ideas into a successful business. We strive to create environment where entrepreneurs and young professionals flourish, to incubate companies with global outreach. Bulsatcom is a Bulgarian Technology Company investing in innovations and modern technologies. It is the largest pay TV provider in Bulgaria offering over 100 digital TV channels (incl. exclusive content) as well as internet access. This is the biggest educational program in the field of space science and high-technologies in Bulgaria. The main idea is to create a stable and adequate space education at national level and foster innovative business solutions, led by young people. The initiative involves a range of leading experts from NASA, ESA, Caltech, MIT, Stuttgart University, French National Space Program, United Nations, Stanford University, University of Oxford and others. The goal is to develop creative solutions that would foster a strong connection between education and the economy. Our efforts are aimed at helping young people to acquire knowledge and skills and to apply those at creating innovative companies and organizations. The men and women of the United States Mission to Bulgaria are committed to strengthening the partnership between the United States and Bulgaria. Using the highest standards of professional excellence and personal integrity, we focus our efforts in three priority areas: Security: As NATO allies, we seek to enhance our mutual security as well as regional and international stability; Prosperity: As commercial partners, we work to increase bilateral trade and investment that promote stable growth in both economies; and Democracy: As democratic societies, we cooperate to expand good governance and strengthen the rule of law within Bulgaria. National Digital Coalition is part of the European initiation Grand Coalition for Digital Jobs. The initiation underpins substantial shortcomings of professionals who are working in the sector of information and communication technologies of the European Union. This on the other hand impedes possibilities for further economic growth. Top priority for NDC is to attract more people towards new technologies, to achieve and deliver effective digital potential and to help the development of the ICT sector in Bulgaria. NDC bonds the effort of business, universities and the government in Bulgaria in order to achieve the priorities, written in the Digital Program of Europe. Priorities of NDC: To break Bulgarian’s stereotypes towards technologies, programing and innovation. A larger pool of people in Bulgaria to acquire basic digital capabilities. Recruit more women in the ICT sector. Supporting children from earliest possible stage of their childhood towards creative digital education. 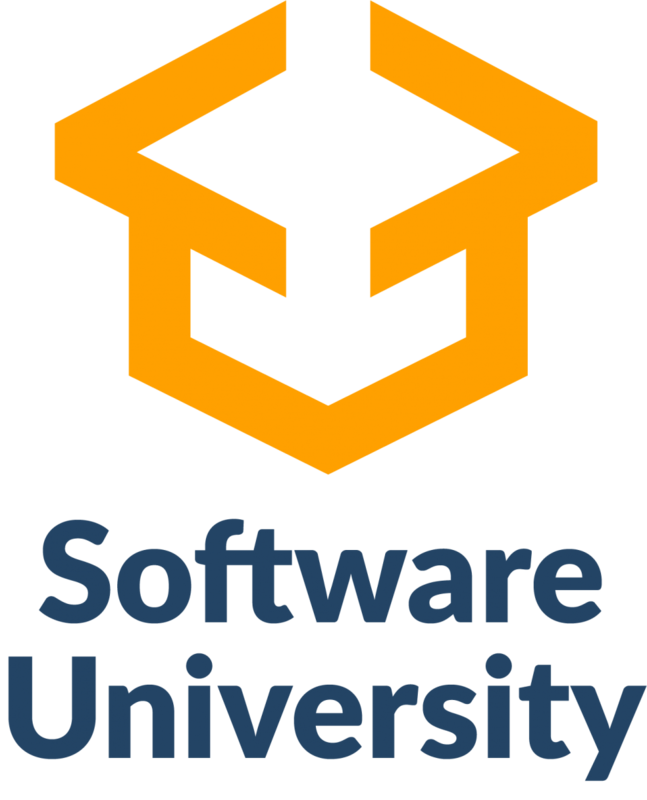 Software University was founded with the sole intention to provide quality software education to young people in Bulgaria. Software University is a place where we listen to both the needs of software industry and people’s interests - preparing our students to work on real projects in the real world. Our mission ahead of us is to discover, train and build talented software engineers, with high level of practical knowledge, supporting the development of the software industry. TU-Sofia is the largest technical university in Bulgaria offering highly qualified trainers, engineers and technical staff, with modern laboratory facilities. More than 65 years TU-Sofia educates specialists in the field of engineering. For this period, over 100 000 engineers have graduated - bachelor degree in 26 specialties, master degree in 35 specialties, PhD degree in 110 specialties.The TU-Sofia has close working relationships with more than 50 universities in Europe, Asia, North America and Africa. The University is a member of prestigious European and world organisations and participates in various projects under EU, UNESCO and NATO programmes. TU-Sofia is among the leading technical universities in Europe. IDG.BG is a media web site focused on the geeky, nerdy side of life. Created by tech & science enthusiasts, its content covers various science,tech, web and sci-fi topics and the business news and trends related to them. In IDG.BG, you can find all sorts of red-hot geeky and nerdy stuff, like what new exciting discoveries NASA and ESA have just made, what happens on Mars, which are the newest mobile technologies and why it is fun to have them, what are the coolest web trends right now, which great sci-fi movie you should watch, how amazingly high is the price paid for the most expensive comic book ever, etc. The site also offers an Apps section where you can find a catalogue of lot of different kinds of apps for various OSs. Note that the application grants access to the latest news in the web site. It offers easy navigation and an option for quick sharing on Facebook and Twitter.elta 3 Real Estate TM is designed to meet the demand of individuals and corporate clients in real estate. The main activity of the company is consulting and brokerage for buying and selling, renting and leasing of apartments, offices, garages, houses, land, buildings, retail space. For this purpose, Delta 3 Real Estate has a young and ambitious team of professionals with extensive experience in real estate. DELTA 3 seeks to protect the interests of its customers. We strive to take out the stress and make buying/selling/renting/leasing real estate in a pleasant and rewarding process. District "Studentski" is one of the twenty-four regions of Sofia Municipality.It is situated in the southeast area of the capital. The name comes from “Studentski grad”(meaning Student city), which is part of itsterritory. According to the urban plan of Sofia Municipalitythere are five residential complexes in the region: j. k. "Mladost 1"; j. k. Darvenitza; j. k. "Studentski grad"; j.k. "Malinova Dolina" and "Vitosha" square. District "Studentski" is unique with the territory of “Studentski grad”, where six universities, one college and two subsidiaries areconcentrated, and nearly 30,000 students educate. District “Studentski” has two municipal,one state and two private schools, six kindergartens, a nursery and a babykitchen and lots of sports facilities and sports centers. Since 2007 Mayor of District"Studentsiki" is Mr. Dimitar Dilchev. National Youth Forum - Bulgaria /NYF - BG/ is the biggest formal youth platform in Bulgaria, uniting 40 youth organizations representing through member organizations over 105 000 young people. The organization's mission is to represent the interests of young people in Bulgaria and their needs, putting forward the meaning and importance of youth organizations, their development and participation in social and socio-political processes and ensure effective structural dialogue through cooperation with relevant stakeholders institutions and decision-makers in the youth policy. Plovdiv Academy е софтуерна академия създадена през Май 2015 и базирана в град Пловдив. Нашата основна цел е да участваме активно в разрастването на IT индустрията в града, като работим усилено за развитието на нейния най-важен актив – хората. Ежемесечно провеждаме курсове фокусирани върху популярни езици за програмиране и обучаваме хора с различно ниво на познания и опит. Delta 3 Real Estate TM is designed to meet the demand of individuals and corporate clients in real estate. The main activity of the company is consulting and brokerage for buying and selling, renting and leasing of apartments, offices, garages, houses, land, buildings, retail space. For this purpose, Delta 3 Real Estate has a young and ambitious team of professionals with extensive experience in real estate. 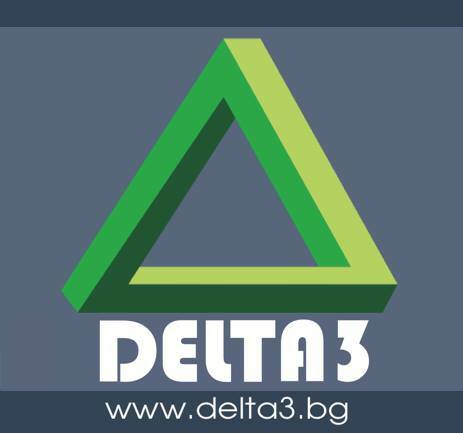 DELTA 3 seeks to protect the interests of its customers. We strive to take out the stress and make buying/selling/renting/leasing real estate in a pleasant and rewarding process. The Bulgarian Centre of Women in Technology (BCWT) brings together stakeholders from the business, the government, the academia and the non-governmental sector, involving them in the process of supporting the increase of women's leadership and professional participation in the ICT sector, entrepreneurship, as well as the female share in the development of technologic and engineering products. The Centre cooperates in the implementation of regional innovation projects and stimulates research collaboration, exchange of best practices and creation of new resources in ICT. BCWT is a National Point of Contact of the European Centre for Women and Technology. Coding Girls is a gender-neutral organization promoting an increased presence of girls and women in the tech, leadership and entrepreneurship. We inspire and empower girls to get in technology and develop a tech-career. 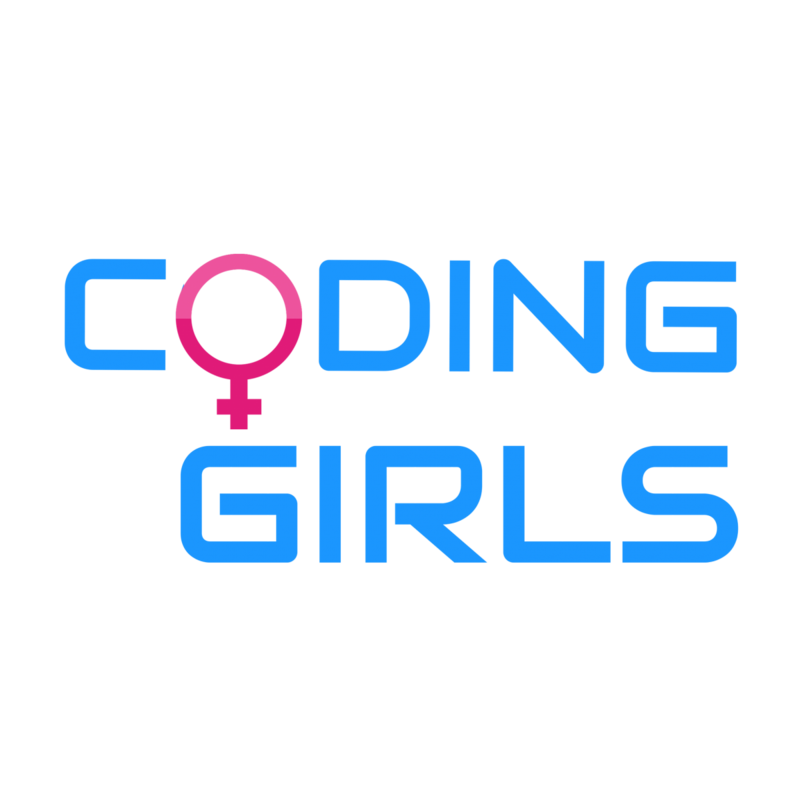 Coding Girls delivers a series of worldwide events, workshops and courses. With 1000+ members across the world we are continuously growing and increasing the number of girls and women in tech. eSkills For Future delivers up-to-date information on ICT trainings, courses and events in Bulgaria. BAIT is actively working with this initiative with young people and attract them to career development in the ICT sector. Details on ICT trainings and events in Bulgaria can be found on the website. eSkills For Future Catalog includes more than 40 training initiatives - free and paid, offline trainings and distance learning options that take place in different cities across the country. The platform also contains stories of young people that have started their career in the Bulgarian ICT sector, as well as publications in popular language about the various IT professions that are unfamiliar and suitable for non-programmers.  DevStyleR is an online media with technology at its core.  We provide our audience of influential names in industry, technology news unparalleled access to the IT Companies and their teams. Lifestyler, sport, adrenaline, cool facts and everything that intrigue the developers. Java2Days - is the leading Java conference in Eastern Europe with 9 years of experience. It attracts world renowned lectors and audience from 15 countries. CodeMonsters - is a software development conference. It offers attendees with all the exciting new technologies in the Mobile, Web and Cloud world. Founded in 2015, its mission is to create and support a long lasting community of alumni students nationwide, by giving opportunities for dynamic interaction and sharing of experiences. We aim at establishing a strong relationship with all interested parties in order to raise awareness of future possibilities and encourage participation and volunteering among the youth. Our ultimate goal is to build a sustainable network between SWT alumni and future SWT students where friendship, business and all aspects of life would be shared. Apart from its opening on November 4th, SWaT hosted public lecture of Sam Vaghar, Executive Director and Co-Founder of Millenim Campus Network (5.11.2015) and launched Entrepreneurship Academy for SWT Alumni, with the support of U.S. Embassy to Bulgaria. HackBulgaria is hacker school which provides the necessary theoretical and practical training to start working. The model of teaching and learning builds on flipped classroom. HackBulgaria philosophy is to provide an informal and friendly atmosphere, good and engaging teachers and a large dose of humor during lessons. Team is the organizer of the series hackathons - HackFMI and one of the largest IT conferences in Bulgaria - HackConf. “I, Engineer” is the first common initiative of Inter Expo Center – Sofia and “Dreams in action” Foundation. The aim of the Youth Career Forum "I Engineer" is to bring together leading technology companies on the Bulgarian market, and meet them with young professionals, students and high school students across the country. The organizers want to show them that SCIENCE and INNOVATION are happening in our country, and opportunities for professional development in Bulgaria are many.  Telerik, a Progress company, was founded in Bulgaria in 2002 by Svetozar Georgiev, Vassil Terziev, Boyko Iaramov and Hristo Kosev. In just 13 years, the company has built a community of more than 1.7 million developers. More than 130,000 customers from 100,000 organizations in 94 countries depend on Telerik products, including more than 450 of the Fortune 500®, academic institutions, governments and non-profits. At the end of 2014, the company was acquired by the global software corporation, Progress, in one of the biggest software deals in Southeast Europe. After the acquisition, „Telerik“ became „Telerik, a Progress company“ and its founders joined the Progress leadership team. Telerik, a Progress company, has won more than 300 industry and business awards and has been named “Best Employer” in Bulgaria for six consecutive years since 2007. The company organizes and entirely sponsors the leading free educational initiative, Telerik Academy. More than 9,000 students have been trained onsite at Telerik Academy in the past seven years and more than 30,000 people have used its online resources for self-education. OnboardCRM is a certified partner of Salesforce.com and provides Salesforce implementation, training and support services. With 15 years of consultancy, analysis and operational experience across industries - high tech, retail, pharmaceuticals, non-profits - Onboard delivers professional services and continuous support to successfully start and finish your CRM project: CRM Consultancy & Salesforce Implementation; Sales Cloud User Training; Salesforce Admin Support; Database Services; Marketing Operations; Business Intelligence. Център за творческо обучение провежда образователни програми за деца, учители, както и редица други дейности. Фокусът на организацията е в балансираното и всеобхватно развитие на личността чрез интензивни програми за творческо обучение. Центърът сътрудничи успешно с редица училища, детски градини, също така и с общини и Регионални инспекторати по образование. От началото на 2014 г. Центърът развива своя проект и запазена марка „Креативна Класна Стая“, като подкрепя и насърчава учебни заведения от цялата страна да внедряват ефективно технологии за преподаване и администрация. Центърът за творческо обучение, също така, е единствен координатор за българия на "Space CampTurkey" в гр.Измир,. Космическият център годишно приема 100 българчета, някои от които участващи със стипендии. 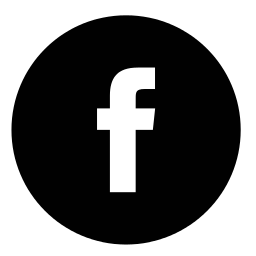 RISK is a non-profit organization that focuses on developing the entrepreneurial ecosystem in Plovdiv and Bulgaria. The team organizes various lectures and discussions with prominent entrepreneurs from around the world. Among such events are Startup Weekend Plovdiv, Sistory lectures, European Researchers' Night Plovdiv and Startup Europe Week Plovdiv. Хакафе е хакерспейс, ръководен от общността, където хора с общи интереси свързани със софтуер, хардуер, технологии, наука, дизайн и изкуство могат да се срещат, общуват, сътрудничат и да се забавляват. Хакафе служи като център за взаимно обучение и обмен на знания под формата на работилници, презентации и лекции. Хакафе е домакин на редовни събития и срещи по различни теми и предоставя условия на своите членове за организиране на събитя, курсове и хакатони. Хакафе предоставя място за практикуване на високо-технологични хобита като запояване на платки, чоплене на софтуерни бъгове и понякога невероятни открития. Hacker School BG is a training environment free of any charge for talented, young people with motivation, who like challenges and seek them, and for all those who want to keep moving forward everyday. The team of Hacker School BG offers free of charge qualified education and training in the area of programming and new technologies. We, Hacker School BG, believe that people's capacities are limitless and we are ready to provide all of our knowledge and energy so that they can achieve their dreams. A leading role in Hacker School BG have our partners - high-tech companies ready to give the best students the opportunity to practice the gathered skills in real-life projects. Hacker School BG is a project of Telebid Pro. BBC Znanie is a source of intelligible and interesting facts about the world around us. The interesting and comprehensible articles as well as the rich palette of photographs make the magazine attractive to both children and their parents. Not only BBC Znanie provides answers to many questions, but it also provokes new ones. "Bulgarian Science" is an online magazine published by "Bulgarian Science" Ltd. and "Science Forum" Association. Since launched in the winter of 2005/2006, it has developed at a fast pace by offering the visitors various and interesting new information, opportunity for self-expression and connection with people with the same interests. The magazine quickly became the largest and most dynamic scientific online community in Bulgaria. After the launch of "Bulgarian Science", it managed to win the readers and enthusiasts to post their own material and to offer ideas for improving the magazine itself. The main idea behind the project is to be distributed for free on Internet and to provide the best possible, interesting and detailed information about science, making it available to as many online users as possible. The content of the magazine is full of popular science articles and current research papers and studies. The magazine is getting more and more popular among the young people. The Association of the Bulgarian Leaders and Entrepreneurs (ABLE) is a vibrant community of enterprising young people who are united by a common goal to contribute to the growth of the community and society. The members of the organization are alumni of the Bulgarian Young Leaders Program (BYLP), organized by America for Bulgaria Foundation. ABLE has around 250 members coming from different educational and professional backgrounds such as entrepreneurship, economics, law, technologies, architecture and many others. ABLE`s mission is to develop active civil society, inspire leadership and promote entrepreneurial culture in Bulgaria. Learn more about ABLE and its projects: http://ablebulgaria.org/en/ and https://www.facebook.com/ABLE.Bulgaria. We are a bulgarian high-tech telecommunication company that operates with 100% fiber optic network on the territory of Sofia, Plovdiv and Veliko Turnovo. The company provides gigabit fiber internet, IPTV, VoIP and metropolitan fiber connectivity for household customers, small and medium-sized companies and telecoms. Our mission is through our services to improve the quality of life in the cities in which we are operating and to make them more attractive . Ruse, University of Ruse "Angel Kanchev"
Registration will be available on the 10th of September and will continue untill 20th of October 2018. All individuals who are attending will need to register online on: http://2018.spaceappschallenge.org/. DO I NEED TO TAKE MY LAPTOP? Everyone can take his/her laptop. There will be some available, but may be not sufficient. Everyone can participate - developers, engineers, technologists, designers, and anyone with a passion and desire to have an immediate impact on the world. They are open to anyone who has a passion for making a difference and are focused on developing real solutions to global challenges. HOW THE TEAMS CAN BE FORMED? Each team can be formed by one or more participants, it is recommended up to five members. The international collaboration is highly encouraged. HOW CAN I CONTACT WITH A TEAM FROM OTHER LOCATION IN THE WORLD? You can send an e-mail to the local lead from that location or send an e-mail to nasaspaceappschallenge.bg@gmail.com titled - COLLABORATION! HOW MANY CHALLENGES CAN I WORK ON? The teams can work on one or more challenges. HOW THE PROJECTS WILL BE SENT? Each one team will upload the projects through the main web site option using the username and password made at registration. This option will be available prior the event. HOW THE PROJECTS WILL BE PRESENTED? The projects will be defended in front of the local judges. The teams can defend their idea with a presentation.